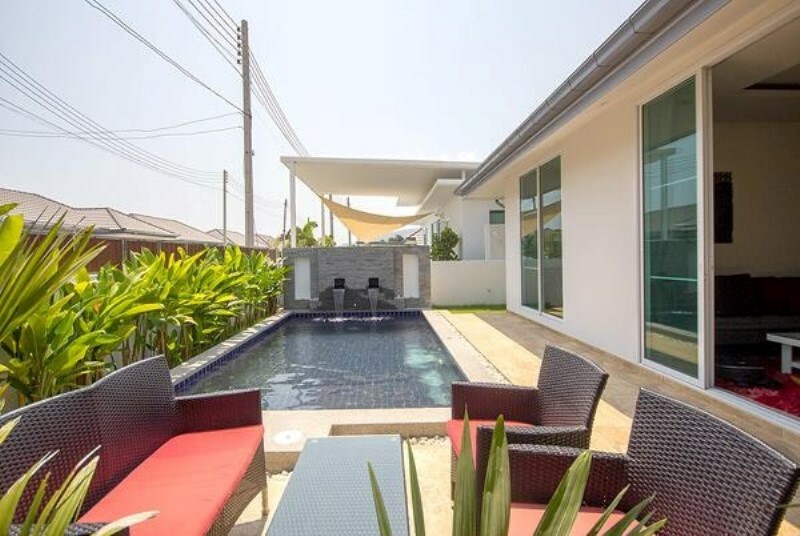 This 2 Bedroom 2 Bathrooms new pool villa is located within walking distance to Hua Hin City Centre, Blueport Shopping Mall and Hua Hin beach. And 5 minutes??? drive from Khao Takiab beach. 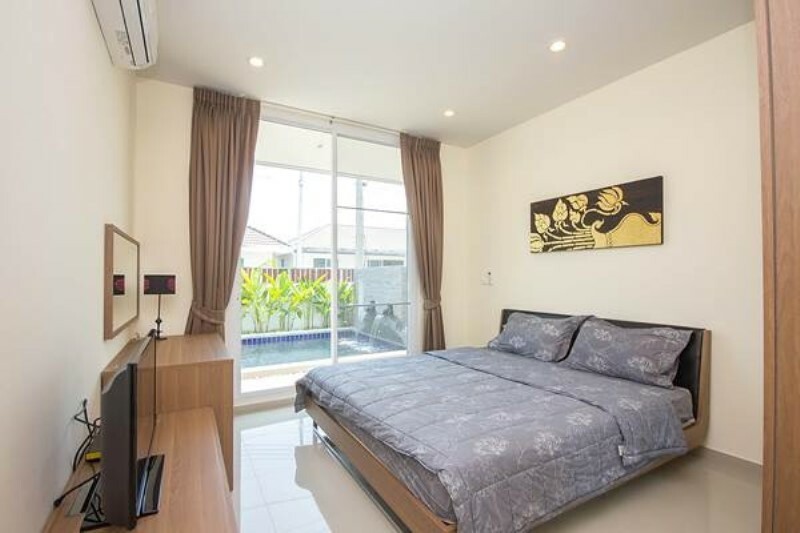 The house is located inside a very beautiful development, nearby is restaurants, supermarkets, international schools and also two large shopping malls Blue Port and Market Village together with Bangkok hospital all just a short distance away. It is becoming a very populous location, close to city and beach and with just enough space to be within an exclusive area. 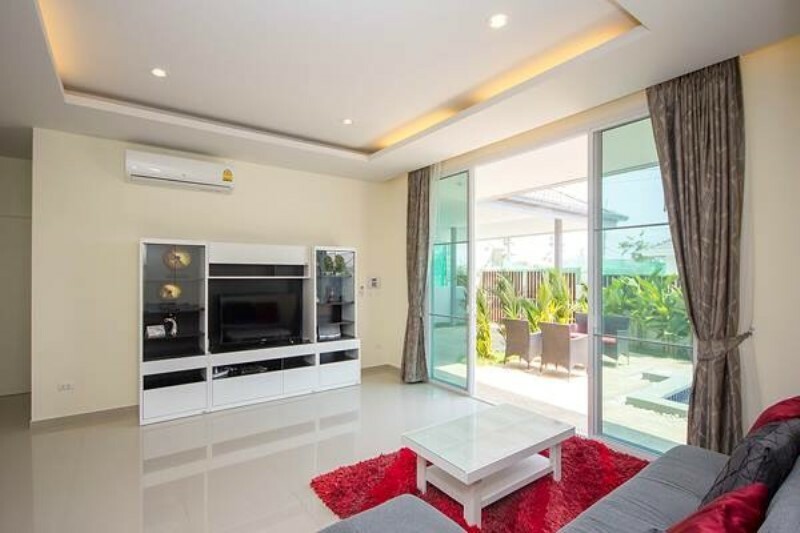 With a total land area of 320 square meters, the 130 square meters villa comes fully furnished with top-quality furnishings, every tenants dream vacation home. 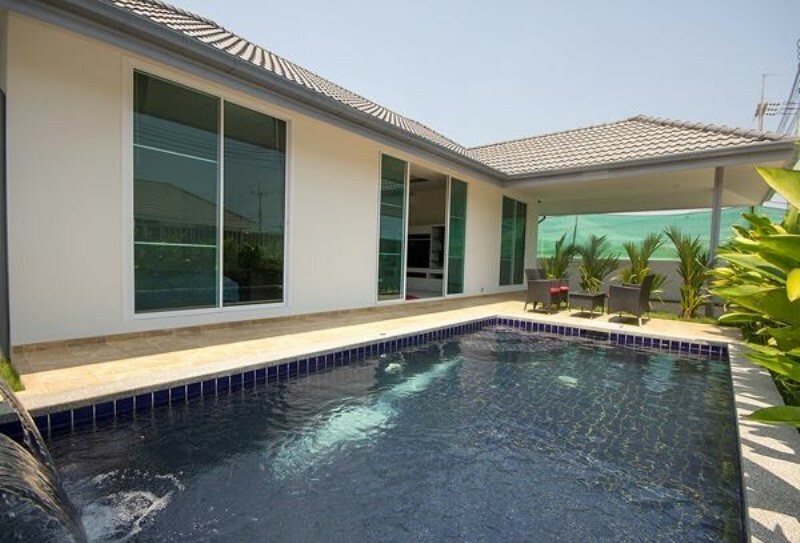 The Villa have a great private swimming pool. 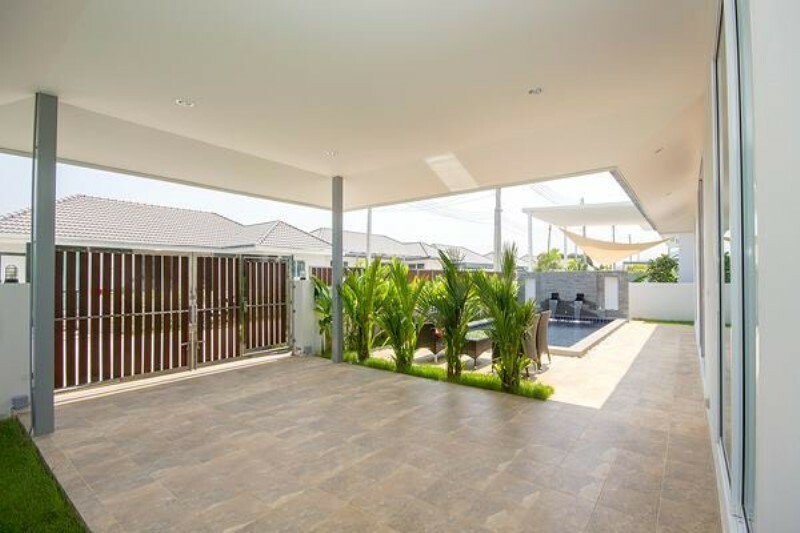 A large covered outdoor Salla with direct access to the garden and the pool area and gives you the perfect choice of enjoying the tropical climate of Thailand. The European-built kitchen comes fully equipped including an electrical stove with cooktop, fridge, microwave, oven, and large kitchen counter for chopping vegetables or preparing a summer meal. 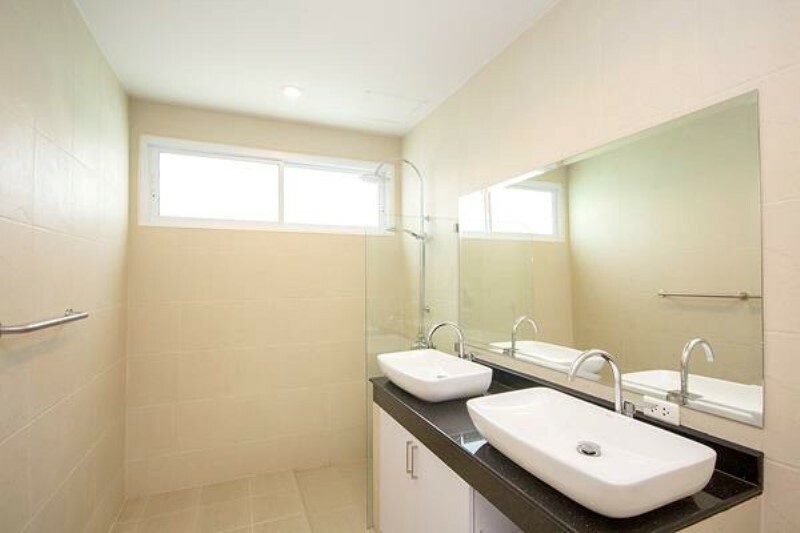 There are 2 bedrooms with 2 en-suite bathrooms. 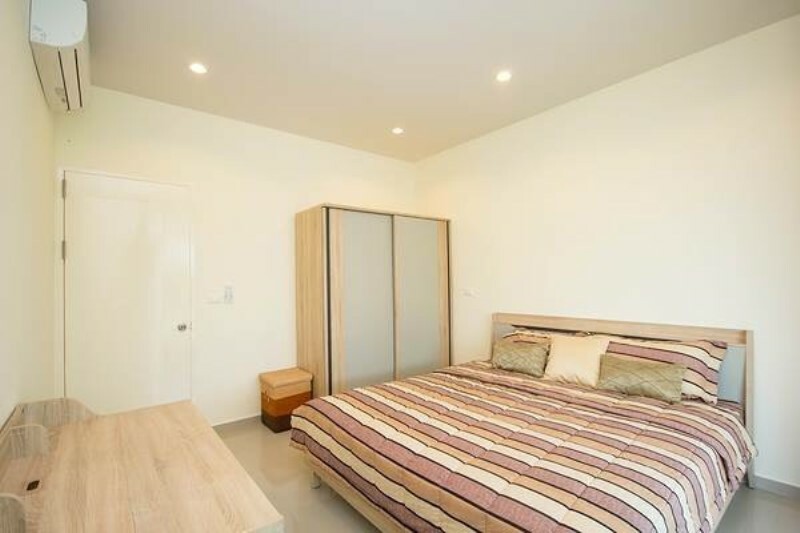 This property is a very attractive one because of its small but functionally design, lay-out and an overall luxury-comfort that it offers its tenants. 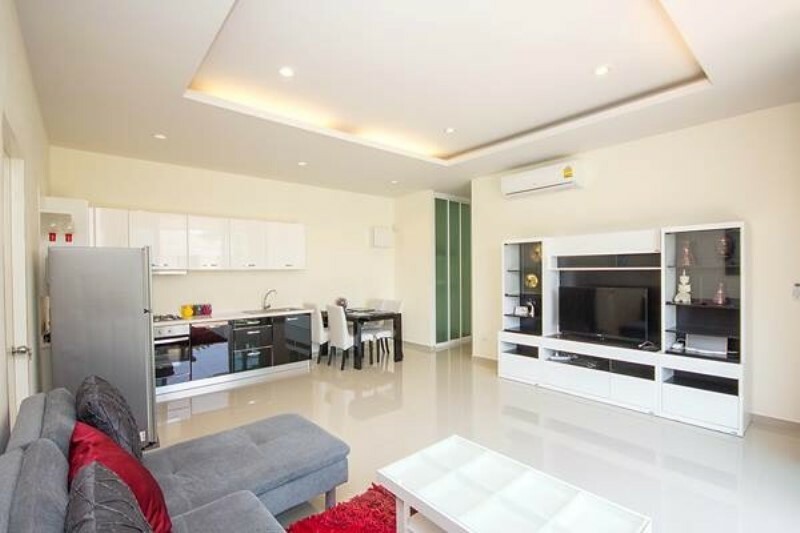 With a charming garden, private covered parking area, and an terrace that overlooks the swimming pool, you can never go wrong by booking this pool villa!